Red Hat has announced support in its JBoss Developer Studio for Java 9! See what it offers and how you can get started with it. Starting from Red Hat JBoss Developer Studio 11.1, Java 9 is now supported. Please note that Red Hat JBoss Developer Studio does not run on a Java 9 virtual machine but allows for managing and building of Java 9 projects and artifacts. So, you must first define in your workspace a Java 9 JDK if you want to manage and build Java 9 projects. 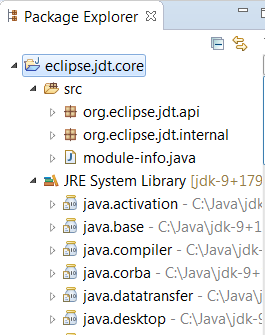 The Eclipse compiler for Java (ECJ) implements all the new Java 9 language enhancements. Updated significant features to support Java Modules, such as a compiler, search, and many editor features. 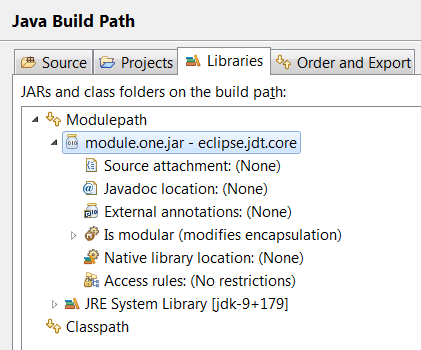 When a Java Runtime 9 is added to a project’s build path, the system modules are listed under the System library in the package explorer. An existing non-modular Java project can be quickly converted to a module by creating a module-info.java for that project. This feature can be employed once the project has been moved to compliance 9. With Java 9 support, a library or a container can now be added to the module path as opposed to the classpath. Once a module has been added to a project’s module path, clicking on the IS Modular option and editing the Module properties can further its encapsulation properties. 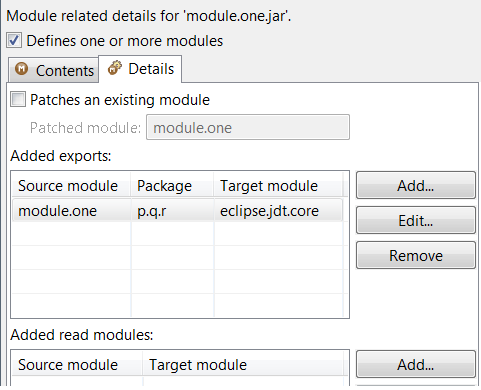 The following example shows how module.one can be made to export its packages in the context of the current Java project. Java search now includes a new search scope – Module. You can find more updates that are noteworthy on this page. Published at DZone with permission of Jeff MAURY , DZone MVB. See the original article here.